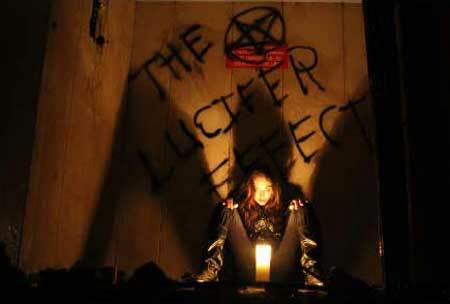 What is the Lucifer effect? The Historical Context One of the most studied areas in social psychology is the influence of groups on behaviour. Experiments on group influence go back 80 years, to Jennes’ experiment on conformity to a group norm. He put beans in a jar and asked all the participants to examine it and declare their estimate of the number to other members of the group. Next, they were asked to re-estimate the number of beans in the jar. In most cases, the participants’ estimates moved closer to the mean demonstrating the pull of the group on beliefs. This relatively harmless little experiment demonstrated conformity to a group. But then came the second world war and all the obscenities of evil acts worked out on a range of minorities, but most of all the Jewish People. And when the reckoning came, the same excuse was repeated many times, like an echo: “But I was only obeying orders”. The banality of the response was not lost on political theorist Hanna Arendt who analysed the trial and implications of the defence of war criminal Adolph Eichmann in Jerusalem. Arendt concluded that he was not a fanatic or mentally unstable, but that he had done evil things in a business-like manner and had done this all because he believed he was obeying orders. Stanley Milgram picked up the baton from Arendt’s thesis and tested whether he could trick people to do evil through obedience to an authority figure. He set up a fake scenario where participants believed they were delivering powerful electric shocks to others in obedience to a man in a grey technician’s coat and with a clip-board telling them to “please continue”. Asked by Milgram to predict how many would go to a lethal dose, most top professors of psychology and psychiatry said “not one in a thousand” would be so evil. The actual percentage who gave a 450V shock was 65%. Milgram went on to develop this experiment across cultures, sexes and in different environments, the results did not vary much overall. Dying young from a heart attack in 1984, he missed the horrors of further genocides in the late 20th century and the obscenity of child soldiers forced to kill. A new millennium dawned and yet mankind’s inhumanity to man continued with the evils of Abu Ghraib and the “collateral damage” of the Iraq war. But by this time yet another psychologist had picked up the baton and claimed it for his own, Philip Zimbardo. The beginnings of Zimbardo’s work was in his work on “The Stamford Prison Experiment”. A group of students were randomly assigned to the role of prisoners or guards for a 2 week experiment on conforming to social roles. The guards took to their role so well that quickly they began to bully and harass the prisoners and to dehumanise them. In fact Zimbardo himself even lost his detachment and became engrossed in his role as prison governor. The future Mrs Zimbardo, visiting the mock Jail brought Dr Zimbardo to his senses and the experiment, now brutal and out of control, was terminated after only 6 days. Yet is had achieved its aim, demonstrating how good people can learn quickly to do bad things. From this time Zimbardo has made it his life’s work to understand the process whereby people succumb to the “Lucifer Effect” and what we can do to protect ourselves against it. Children at school were made to read stories which portrayed Jews in increasingly negative light. Jews as “greedy”, looking different with their strange clothes. In camps taking away their clothes, hair, name and even possessing their thin bodies so they no longer looked human. Abel Meeropol wrote the words to the Billie Holliday song based on the lynching of young black men in the southern states of the USA in the early part of the 20th century. The strange fruit referred to dead bodies left hanging from trees. Trophy photographs taken by the people at lynchings were like those taken by big game hunters, serving to turn dead young black men into dead game. Language can be used in such a way to remove the inhumanity of an act. The murder of six million Jews was called “the final solution”. Killing civilians in any recent conflict has been called “collateral damage” and killing people from one’s own side is called “friendly fire”. Can we beat the Lucifer Effect? Admit mistakes, don’t waste time justifying yourself, move on. Be mindful and critical of the language and actions of others. Be clear about your own individuality and identity and enjoy it. Respect just authority but resist unjust authority (just authority has wisdom). Balance your desire for acceptance by a group with your need for individual identity. Be frame vigilant: be aware of how ideas are expressed. Think about the time context – decisions now have longer term consequences. There you have it a long way from the innocence of beans in a jar lies the abhorrence of Abu Ghraib. But if Zimbardo is right we all have a responsibility in preventing our own Lucifer from taking over. “using physiological differences” is incorrect. You mean physical differences. Physiological is how the body works, such as pumping blood, and making ATP. The whole history have to be told. Very rarely is the first narrative that comes out of a war be it on terror or on jews the underlying context need investigation. Philip Zimbardo made his first experience being subdued into subhuman by his own experiment. The story about about the jew and ww2 lac the fact from 1933. Judea showed its own fighting capacity then. Now forgotten by a perpetually painted false truth. Where does images like thous push us. There are many more informations from revisionists. Is it important to find them to bring us all closer to our human selves? Or shall we just consider all of reality to be an opinion? You said in this paragraph that Philip Zimbardo is TV’s famous Dr. Phil. That is not correct. He appeared on Dr. Phil’s Tv show on October 25,2010. They are 2 different people not the same person. You are absolutely right. Thank you for that, we have now corrected it. “TV’s famous Dr. Phil” is not Philip Zimbardo. Sorry for this mistake, it’;s now corrected. Thanks.